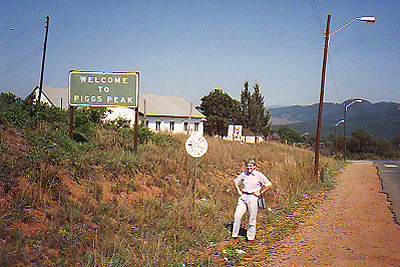 Operating for eight days from the Highlands Inn, Piggs' Peak, Swaziland, Roger 3DA/G3SXW, Nigel 3DA/G3TXF and Cris 3DA/G4FAM logged 17,512 QSOs on CW. 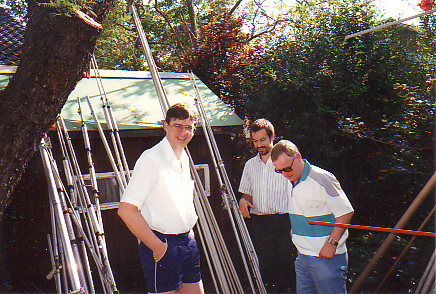 This trip was made possible by Chris ZS6EZ who loaned us a full set of antennas, including two HF beams, a Battle Creek special for 40m, 80m and 160m as well as a trailer to tow them all from Chris ZS6EZ's home QTH Pretoria to Swaziland. 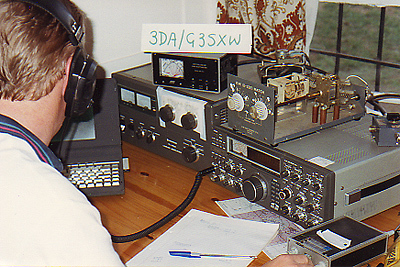 Roger 3DA/G3SXW operating a TS-930 with TL-922 linear. 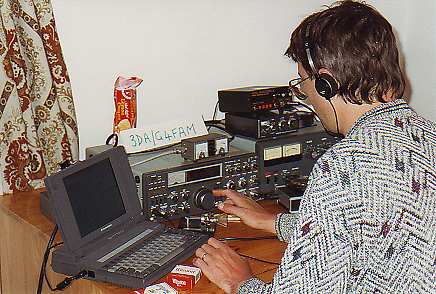 Cris 3DA/G4FAM operating a TS-930 with FL-2100B linear. 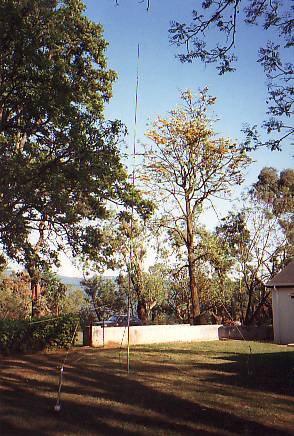 An elevated 30m vertical antenna worked well from the grounds of Highlands Inn. 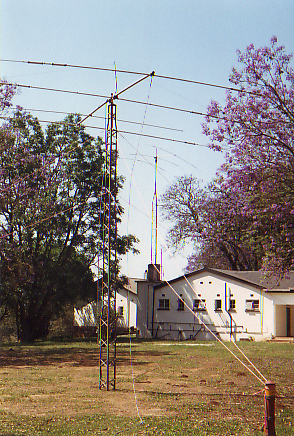 Tri-band beam on short push-up tower. 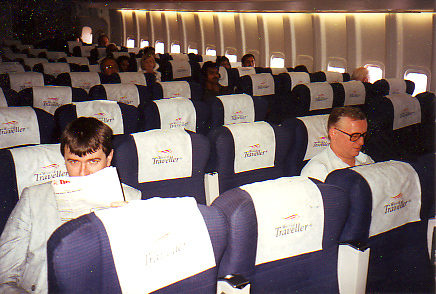 There was an excellent take-off in many directions. 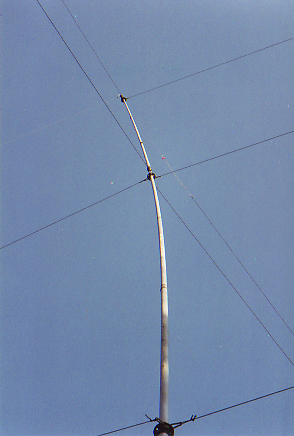 The Battle Creek Special antenna enabled several 'first QSOs' with 3DA on 160m. 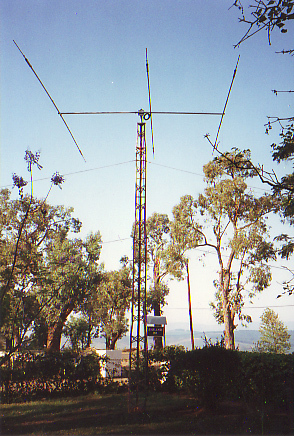 The beam in the foreground was used by the DX-pedition, however the taller beam in the background was an HF beam that had previously been installed at the Highlands Inn but which no longer worked . 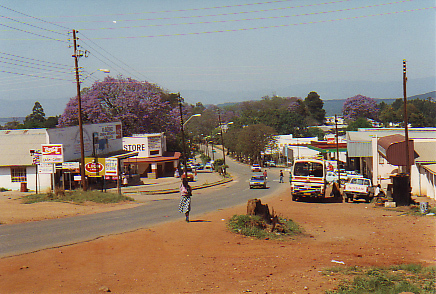 Chris ZS6EZ climbs the tower at his impressive home location in down-town Pretoria. 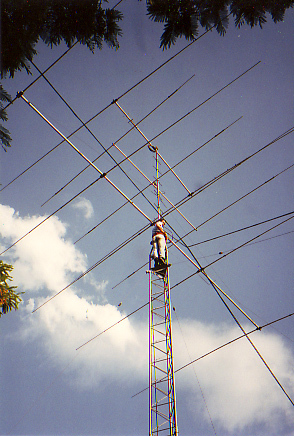 Since this 1992 visit Chris ZS6EZ has built a separate major contest station out of town. 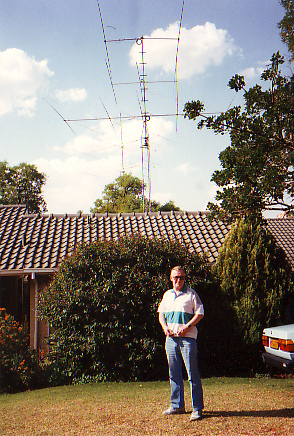 Roger G3SXW in front of Chris ZS6EZ's Pretoria QTH. 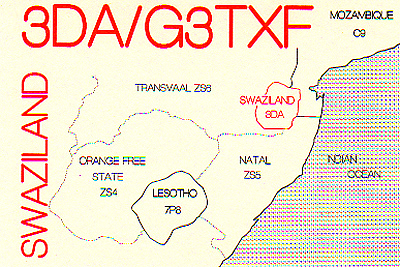 ZS6EZ was instrumental to this operation from 3DA because Chris ZS6EZ provided the bulk of the antennas as well as a TL-922 linear for us to use.